Our success comes from a collaborative environment, where everybody contributes, in big and little ways. We are passionate about celebrating the achievements of our people and properties. The DoubleTree by Hilton Billings hotel was awarded the Teaching Kids to CARE award for hotels with 255 rooms and above. This award is given to hotels who are mentoring grade-schoolers with a goal of creating a mindset of sustainable change and encourages hotel teams to help kids stop and think about how they can impact the environment around them for the better (in little or big ways). For three years in a row, the Homewood Suites by Hilton Seattle/Issaquah was recognized with the Homewood Suites by Hilton Connie Pride Merit Award. The Hilton award is given to the top 5% of properties within the brand who have excelled in all brand requirements. The award demonstrates the highest commitment to brand standards, guest satisfaction and loyalty. For the second year in a row, the Holiday Inn Express and Suites Pullman won the Quality Excellence Award which is given to hotels who have achieved the highest levels of excellence within the InterContinental Hotels Group. 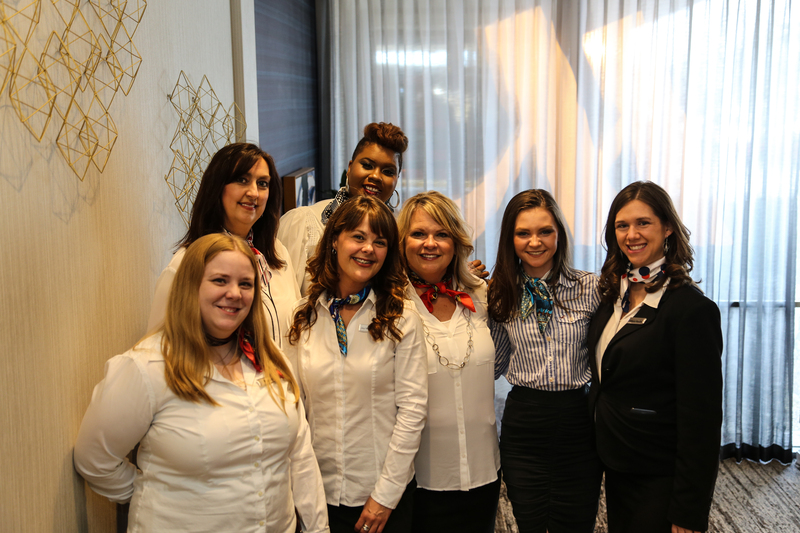 Owned by THG's Opportunity Funds, the Kansas City Airport Marriott, was recognized with the Marriott Renovation Excellence Award at the 2018 MINA & Full Service Owners Conference in Washington DC. Awarded annually to a renovated hotel highlighting the industry’s most innovative design and impressive renovation, the Kansas City Airport Marriott features a complete upgrade in modern style for business and leisure travelers. The Radisson Colonial Hotel Helena was named the City of Helena’s 2017 Business of the Year. Actively committed to their community, the Helena Radisson holds over 2,200 conferences annually, and was a clear front runner for this award. The hotel supports organizations and events, such as the Festival of Trees and hosts a disadvantaged family every Christmas. The Radisson Colonial Hotel Helena is a proud recipient of the 2017 President’s Award from Radisson. This award is given to hotels that receive top scores in guest satisfaction for quality and outstanding service. The Homewood Suites by Hilton Draper/Salt Lake City was recently awarded Hotels.com’s Loved by Guests award. This award is distributed to hotels who display exceptional levels of guest service. The Holiday Inn Express & Suites Pullman was recognized for the 10th year in a row with the Torchbearer Award, InterContinental Hotels Group's highest award for quality service. As a leading hospitality management company, our mission is to Serve our People and Properties, Inspire a culture of Hospitality Greatness, and Deliver maximum investment value for our Partners.